ECPI University is proud to announce that it has been designated a National Center of Academic Excellence in Cyber Defense Education (CAE-CD) by the National Security Agency (NSA) and U.S. Department of Homeland Security (DHS). University faculty were on hand at the National Cyber Summit in Huntsville, Alabama this week to receive the designation. The purpose of this program is to reduce vulnerability within the national information infrastructure by promoting higher education and research in cyber defense and producing professionals with cyber defense expertise for the nation. Does this sound like the kind of career you’ve been looking for? In addition to job security, the pay for cybersecurity professionals is very good. According to the U.S. Bureau of Labor Statistics, the median annual wage for information security analysts was $95,510 as of May 2017, with the highest 10 percent earned more than $153,090. If you’d like to become a cybersecurity professional, take a moment and check out ECPI University. 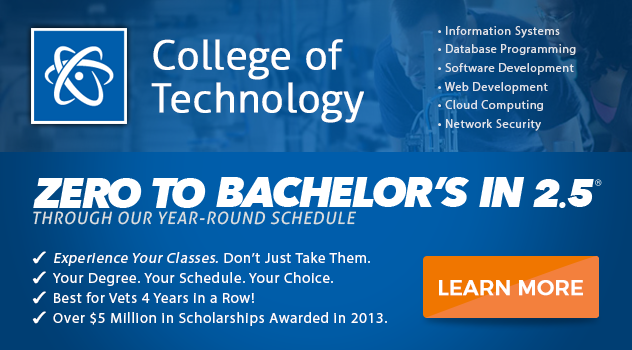 We offer an accelerated program that allows you to get your degree much faster. Through our year-round schedule, you can earn a Bachelor of Science Degree in Computer and Information Science with a Cyber and Network Security major in as little as 2.5 years. Want to learn more? Take a moment and connect with one of our helpful admissions advisors. They can answer your questions and help you get started. Cybersecurity is more than just a great career, it’s a calling and vital to America’s wellbeing. Be a part of it. It all begins at ECPI University.